Monarch Air Group provides private air charter in Garden Grove, CA. Our clients benefit from top-notch service, unrelenting dedication to safety, wide selection of aircraft, and years of experience in chartering private jets. To obtain a free quote, please use our online quoting tool provided below, or call toll free 1-877-281-3051. Monarch Air Group provides private jet charter flights in and out of Garden Grove, California, USA. Located in northern Orange County, Garden Grove is a city in southwestern California, southeast of Los Angeles. The population of the city is about 170,883 people, and the total area is 18.0 sq. mi. 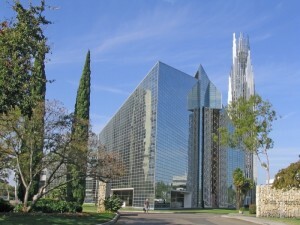 Garden Grove is a home to Robert H. Schuller’s Crystal Cathedral, from which religious broadcasts are made. The most notable points of interest include The GEM Theater, Crystal Cathedral, Atlantis Play Center, and some others. The nearest airports are John Wayne Airport (SNA / KSNA), which is located 14 miles from the city, Long Beach Airport (LGB / KLGB), which is located 16 miles from Garden Grove, Los Angeles International Airport (LAX / KLAX), which is situated 35 miles from the city, and LA/Ontario International Airport (ONT / KONT), which is situated 38 miles from Garden Grove. 1. Disney’s Paradise Pier Hotel, 1717 S Disneyland Dr, Anaheim. 3. Sheraton Garden Grove – Anaheim South Hotel, 12221 Harbor Boulevard, Garden Grove. 4. Clarion Hotel Anaheim Resort, 616 West Convention Way, Anaheim. 6. Disney’s Paradise Pier Hotel, 1717 S Disneyland Dr, Anaheim. 7. Disney’s Grand Californian Hotel & Spa, 1600 S Disneyland Dr, Anaheim. 8. Holiday Inn Hotel & Suites, 1240 South Walnut Street, Anaheim. 10. Disney’s Paradise Pier Hotel, 1717 S Disneyland Dr, Anaheim.